Rebar refers to the steel used in reinforced concrete and pre-stressed reinforced concrete, and its cross-section is in a round shape or sometimes has circular angles. 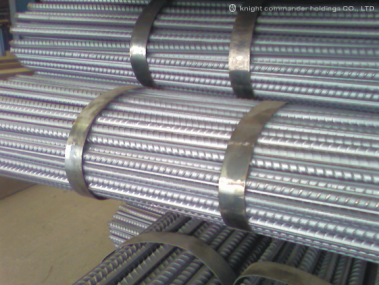 There are many types of rebar, including plain round steel bars, ribbed steel bars, and twisted steel bars, categorized commonly by their chemical compositions, production technology, outer shape after rolling, ways of supply to customers, size in diameter, and purposes. Rebar used in reinforced concrete refers to straight bars and rod coils, and there are two types of Rebar used in reinforced concrete: Plain round steel bars and deformed bars. 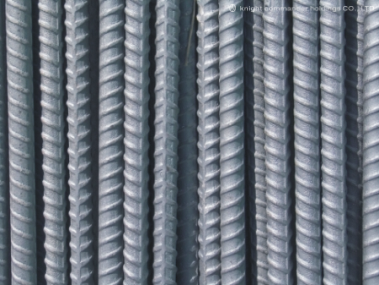 Rebar is exerted tensile stress when used in reinforced concrete. Deformed bars have bigger adhesion with reinforced concrete because of the effect of rib, thus can endure more and bigger external forces. Rebar is used extensively in a lot of architectural structures, particularly in large-scale and heavy high-rise building structures.